Despite the dated tech, the developers did get one thing right: the way bullets interact with meat. Every weapon in the game is awesome and sounds fantastic. The enemies are well animated and a joy to kill. Occasionally a shot tears off a limb or a head, which is something that must've blown people away back in the day: in fact, it still looks cool as hell and easily outdoes the absolutely ridiculous-looking ragdoll combat physics of games like GTA. Shooting and killing is simply put satisfying, and enemies tend to go down with a reasonable amount of bullets. 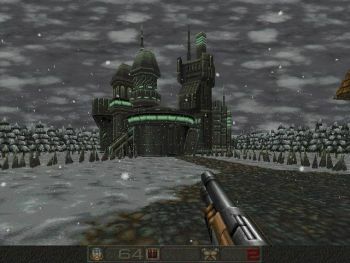 There is also variety in that the game did Daikatana before Romero had his chance in presenting several different time periods, all with monsters that are particular to that period (and much more memorable than the quantity-over-quality assembly-line monsters in Romero's timeless classic). 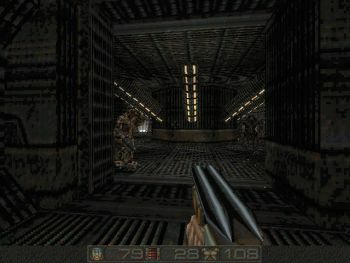 The game's bosses also call for solutions other than direct combat, but this idea degenerates into trial and error type of solutions after the first episode. 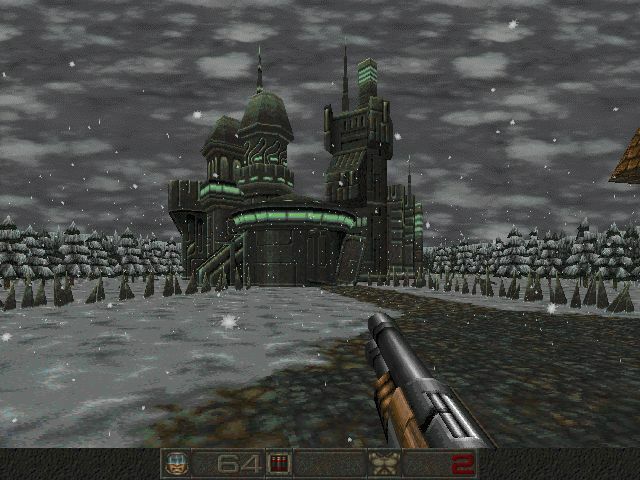 It is ironic then that it's combat that ends up dealing the biggest blow to the game, but the blow comes not from the enemies and weapons themselves but the layout of the maps and monster placement. 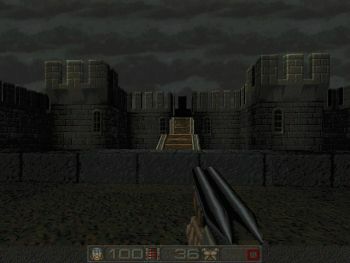 After the first episode the game sinks into a pattern where the player is forced into a narrow area, then a secret door opens behind him, revealing enemies. Sometimes they don't even bother with any secret doors but instead have the enemy spawn right behind you. Combine this with maps that consist of narrow corridors and tiny rooms with no cover and you've got the epitome of bad design. Trial and error then becomes the only way to proceed, but even that is assuming you've got the right tools for the job: if you don't have enough health, or ammo for just the right weapon (there are situations where you need to kill enemies fast before they get too close with their deadly melee attacks), then you're royally screwed. 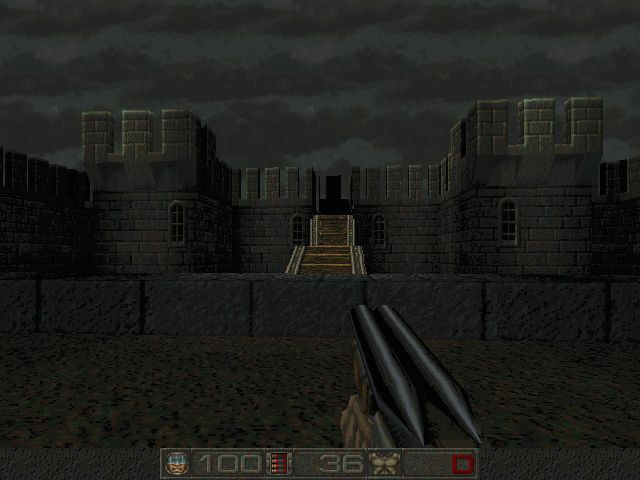 At least Wolf3D maps had the occasional large hall and the Nazis rarely tried to rush your position. In Chasm it's so easy to be backed into a corner with no other escape than death. 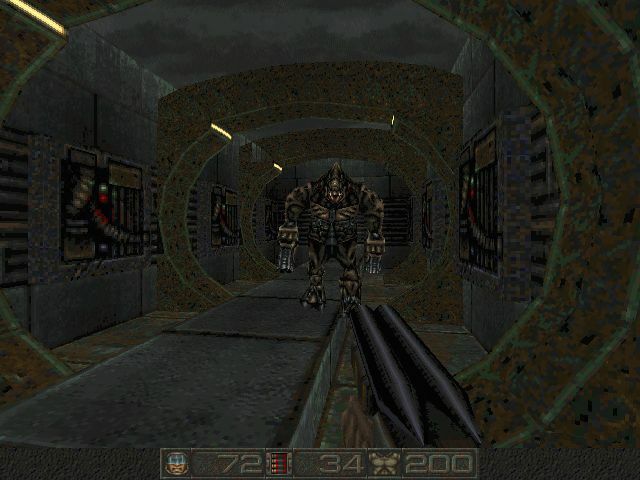 And while I wasted no words complimenting the game's selection of enemies, there is one zombie-like enemy that cannot be killed with normal guns and attacks with a highly annoying hitscan screech. The cramped corridors also make it risky to use the grenade launcher against them (not least because of the projectiles' unusual point of origin). In the history of shooters there are only a few enemies that I despise more. 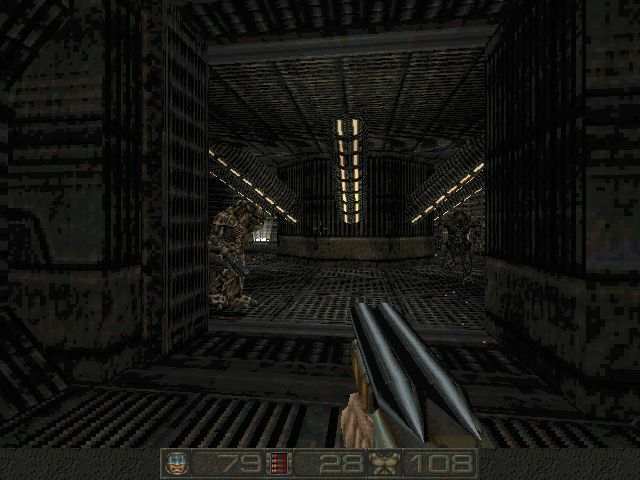 In addition there are nasty traps, a few horrendous jump segments (this is one of those games where the player can barely lift his feet above the ground) and plenty of bits where it's difficult to avoid losing health. Ooh the fun! Conclusion: I really want to salute the Ukrainian developers for this game: they somehow managed to put all this together only a few years after the dissolution of the Evil Empire. (In case you didn't know the obvious, the Soviets were severely lagging the West in information technology.) Nevertheless, despite the occasional surprise, the game severely trailed its competitors back in the day and it certainly hasn't aged any better. 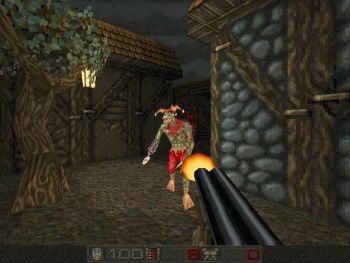 The game's combat can still be really fun, especially with the juicy sounds and ability to chop off limbs, but the game resorts to cheap tricks way too often (perhaps as a means to extend the game's paultry 3-hour length). Chasm is certainly worth taking a look as a historical curiosity, but set your expectations very low.